Operators are faced with an increasing administrative and cost burden in managing their environmental risks. The Montara and Deepwater Horizon incidents have led to intense scrutiny, exposing conventional management approaches as inadequate. Also, onshore activities such as hydraulic fracturing attract growing concerns by stakeholders and demand other regulators to review their ways of implementing environmental regulations. There is therefore a need for all involved to ensure greater transparency and accountability regarding potential environmental risks and their management. The method described in this post is a novel and more effective approach for the management of environmental issues; one that recognises and proactively manages external expectations as well as addressing the environmental impact. The approach was refined in cooperation with Ian Buchan from Neptune Energy during my time with international energy consultancy Xodus Group. The approach offers better alignment with other business objectives and increased confidence in compliance with the existing legislative framework and was applied by Neptune Energy for the drilling programme and operational phase of the Cygnus Field the drilling programme and operational phase of the Cygnus Field, a southern North Sea gas development project, Fig. 1. This paper was co-authored with Ian Buchan, Environmental Manager at GDF, now Neptune Energy. 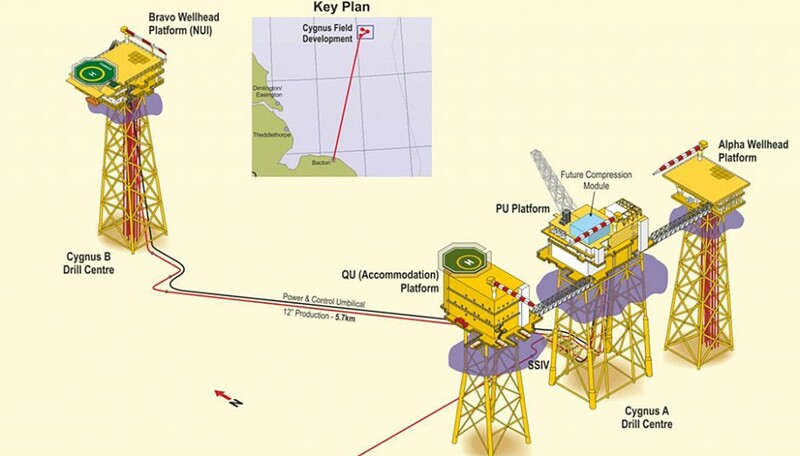 Figure 1 – The Cygnus field is the sixth largest gas field in the southern North Sea and the largest to be discovered in the last 25 years within the Southern Gas Basin. The approach mirrors the intent of Lord Cullen’s Safety Case review in that it offers a way to maximize the benefits of both prescriptive and goal setting regulation. This is done by creating a platform for open dialogue around important issues, which aims to achieve full integration of environmental management into the operation and maintenance of offshore E&P operations. It is fully aligned with the international standard on environmental management systems ISO14001 which features the concept of continuous improvement and includes a commitment to comply with pertinent legislation. Due to the specific way that the environmental management plans are developed, they offer a structured approach to better alignment in the management of environmental issues and increased confidence in compliance with the existing legislative framework and corporate requirements. Central to this method is a single document which details the technical scope description, purpose and methodology, as well as the planning and implementation of environmental management. The document is essential to the company’s environmental management system as it bridges the gap between operational objectives and stakeholder expectations and provides an audit trail between high level objectives and individual tasks and responsibilities as depicted in Fig. 2. Figure 2 – Environmental management plans offer a path towards unlocking the benefits of goal setting regulation and away from prescriptive regulation. The need for environmental protection is generally not disputed and much has been done to reduce industrial and consumer related pollution. However, building an effective environmental management system according to the ISO 14001 cycle of plan, implement, check and review is not easy and is not as simple as writing a policy and ensuring its execution. Effective implementation of such a system requires alignment with other company commitments such as structural integrity and financial liability. In reality, enhancing environmental performance is limited by the opportunities for improvement. Forcing through improvements generally results in tension within the organization, lack of alignment and buy-in and bulky procedures that gather dust on the shelf. This approach encompasses a side-by-side assessment of the differing societal perspectives by compiling a list of issues (or environmental business risks) from a comprehensive analysis of interactions between activities and environmental and social sensitivities; the equivalent of a safety HAZID, with a twist. For each of the resulting 40 to 60 environmental issues, an objective assessment of ecological impacts is prepared while being conscious of the limitations of environmental science, such as its struggle to assess cumulative impacts. On the more subjective side of the equation, the expectations of stakeholders, such as their motivation and influence is considered. Finally, legislation and company standards are reviewed to ascertain any differences in these three assessments. Two main response strategies are distinguished: impact reduction which is reducing the physical environmental impact by, for instance, reducing the use of resources, by reducing emissions or discharges or by reducing noise emissions. The other response strategy is risk communication which is increasing the acceptance of the risk by better explaining the acceptability of the risk, by challenging the motives of stakeholders or by sharing control with stakeholders. A combination of the two strategies is often required. One answer may be to shift and widen the perspective of environmental management from impact reduction to issue management as shown in Fig. 3. This can have wide ranging implications. 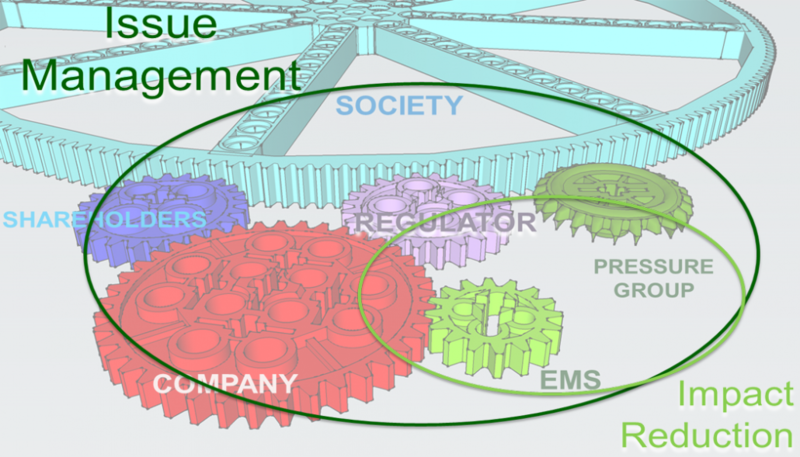 Figure 3 – Issue management recognizes society as the bigger force in the equation, driving both the development and the environmental agenda. Offshore oil in produced water discharges are currently regulated by a blanket discharge standard of 30 mg/l and tolerated exemptions for some gas platforms. Chemical treatment is essential. Monitoring studies have not revealed any concerns, yet the regulator is pressing towards water injection and compliance with the oil-in-water standard. Goal setting regulation has the potential to reopen the dialogue and create alternative solutions. Production chemicals are not only screened for their environmental properties but in the UK additional administrative assurance layers are enforced with little environmental benefit such as application forms, local impact assessments and reporting. There is potential to streamline the system and free up resources. The Macondo oil spill disaster has awakened the industry to strengthen its oil spill prevention and response potential. Spill prevention is one of the last remaining areas of UK offshore environmental regulation that is goal setting and the industry has an opportunity to demonstrate to its stakeholders that this is done responsibly. The approach aligns with the Oil & Gas UK Environmental Assurance Plan (EAP) initiative. This results in a different management structure where the system is built from the bottom up, i.e. : developing issue specific management strategies with input from the line, identifying tasks and responsibilities and collating those in procedures as and when required. 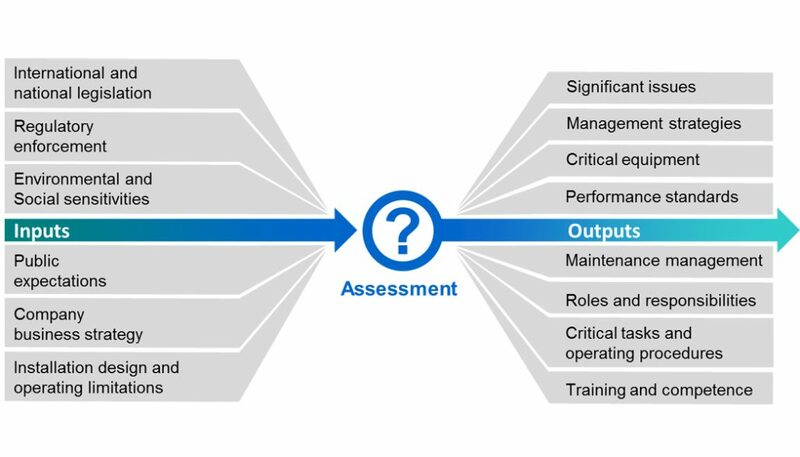 It is therefore specific and responds to real-time changes and can be applied at any stage of the project development process, from inception to decommissioning, and is fully aligned with ISO 14001. The most recent example of the application of this approach involved a new regulator (NOPSEMA) in Australia who had been rejecting a large number of environmental approval applications. The new approach was applied and plan approval was given almost instantly. The main barrier encountered before using the approach was to satisfactorily demonstrate to NOPSEMA that proposed operations’ environmental impacts were reduced to a level As Low As Reasonably Practicable (ALARP). The approach allowed attention to be concentrated on the issues that deserved to be formally addressed (either due to scientific, industry, regulatory or stakeholders concerns), and how they could be managed. ALARP demonstration became the by-product of the issue management dialogue. The concept of a risk based approach to managing Health and Safety is not new to the oil and gas industry. A key recommendation from the Piper Alpha inquiry was to move the industry from a largely prescriptive safety regime to a goal setting one. The subject approach facilitates a similar shift for the management of environmental issues. Whilst this is still work in progress, the positive feedback received to date during the process of implementing the approach gives confidence that it will deliver unparalleled levels of alignment, engagement, transparency and assurance on the management of environmental issues pertinent to the Cygnus Field across Neptune Energy, regulatory bodies and other stakeholders.